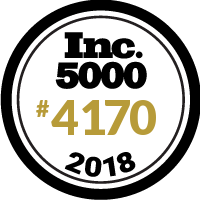 As the industry leader that helps companies realize their vision of a best-in-class safe and healthy workplace, Lewellyn Technology is pleased to announce they have been honored as one of the Inc. 5000’s “Fastest Growing Private Companies” list for the 4th time. Lewellyn prides themselves in providing a higher standard for workplace safety. It is a prestigious honor to be named as one of the top fast-growing innovators. The company currently serves clients across the United States and the Caribbean from small businesses to Fortune 500 companies including universities, manufacturers, and government properties. “We are excited about the expansion and growth projections, which will allow us to better promote awareness of safety in the workplace, ensure longevity for our associates and continue job creation in Indiana,” said Mike Vea, CEO and Co-owner at Lewellyn Technology. The recurrent presence on the Inc 5000 list reinforces Lewellyn’s intention to further expand its national footprint.